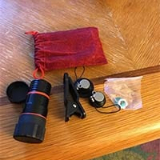 Take Spectacular Pictures Like A Pro Without an Expensive DSLR Camera! Are you a social media addict who posts online pictures of everything you do? Do you take pictures of sporting events, concerts, sunsets, the ocean, trees, birds, flowers, food, friends, family, etc . 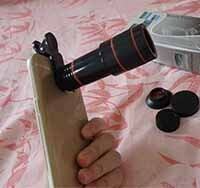 . . and don't want to spend money on a big, expensive camera with a quality zoom? Then the HD12X Zoom Prois PERFECT for you! 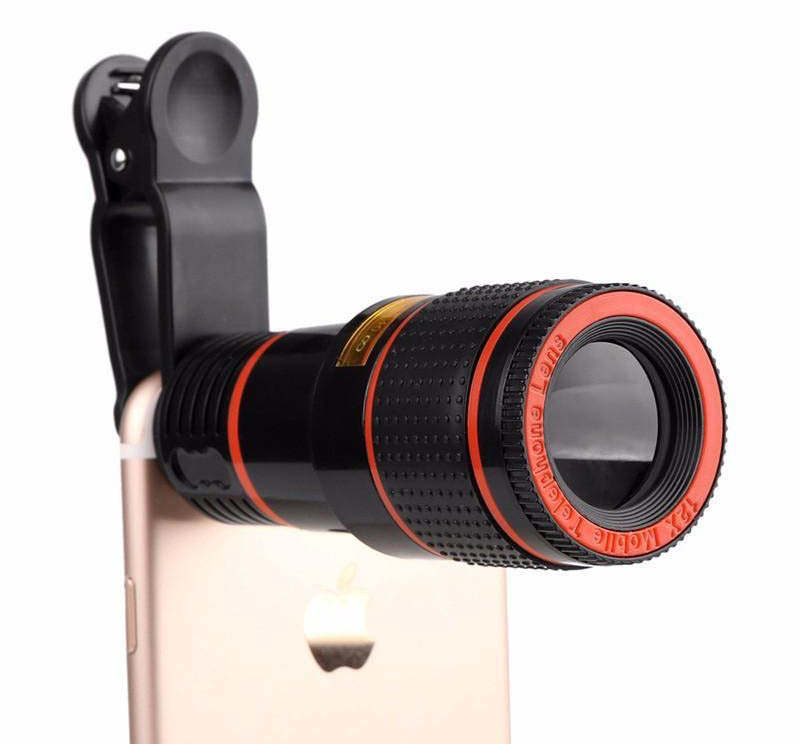 The fully universal clip allows you to use the HD12X Zoom Pro on any smartphone, so you won’t have to ever replace it! The HD12X Zoom was developed for the recreational photographer who wants to take professional quality photos, without the price of a professional camera. The price is affordable for almost any budget and it’s easy enough for anyone to use. 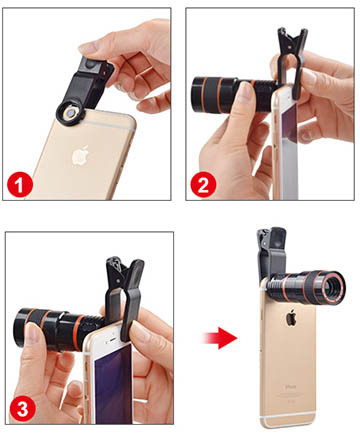 If you want to take high quality photos from your smartphone, then your time has arrived! Clips On In 3 Simple Steps! "Here's what some of Our Happy Customers Have Said About the HD12x Zoom Pro . . ."
Wow, this is the best thing for my iPhone I have ever used. The first time I used it, I couldn't put it down! Most products do not deliver on their claims but you can trust this one. 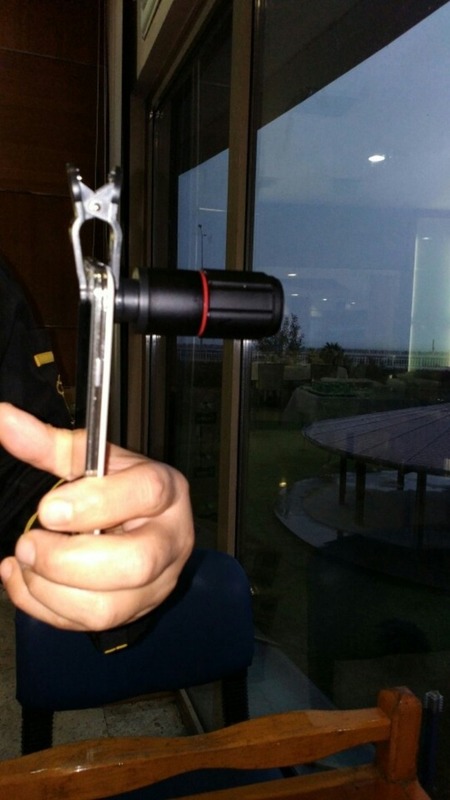 I like that you can easily clip it on and off and take it anywhere. Slips into my pocket no worries. A best buy. We are in love with this product. We take it travelling with us and upload some really cool photos to fb and isnta! We highly recommend this, the quality is fantastic and it works great! Very impressed! Very light and takes great pictures. Also great for video work. Ordering 3 more for gifts today! James - "Manchester, United Kingdom"
Shop with us today and experience the difference! Try HD12x Zoom Pro out for 30 days and if it doesn’t work for you, you’ll get your money back! There’s absolutely no-risk in giving it a try. No questions asked, you can get your money back! Take Incredible Far Away Shots Using The Power of 12x Magnification And Your New HD12x Zoom Pro! 1 x HD12x Zoom Pro! Get 2 & Save BIG! Order a second HD12x Zoom Pro lens for a friend or family member & SAVE! 2 x HD12x Zoom Pro! Buy a Triple Pack of the HD12x Zoom Pro lens and save over $300!